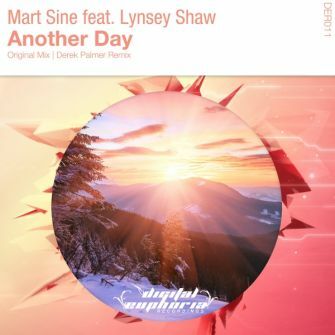 Polish uplifter Mart Sine is back on Digital Euphoria Recordings and teams up with Lynsey Shaw for his newest vocal release entitled 'Another Day'! The original mix does a great job and provides us some hard driving basslines along with a wonderful emotional breakdown embellished by the soothing vocal tones of Lynsey. Next on the list is Derek Palmer's remix, built up in a more sensitive way. The bright and smooth yet energetic upbeats mixed with the dreamy climax are sure to transport us in another dimension! The release also includes the Dub Mixes and Radio Mixes of both versions. With this new release, Mart Sine undoubtedly strikes the uplifting vocal trance scene to a new level and 'Another Day' definitely is the next piece of uplifting trance to own!